Most famous destination in Cooch Behar is Cooch Behar Palace, was designed on the very model of Buckingham palace during reign of King Nirpendra Narayan. It is also called the Victor Jubilee Palace. The Palace is noted for its magnificence and splendour. It is a brick-built double-storey structure slightly elevated on platform structure. There are arcaded verandahs with their piers arranged single and double rows alternately. Hall has a metal dome which is cylindrical and rests on four arches. 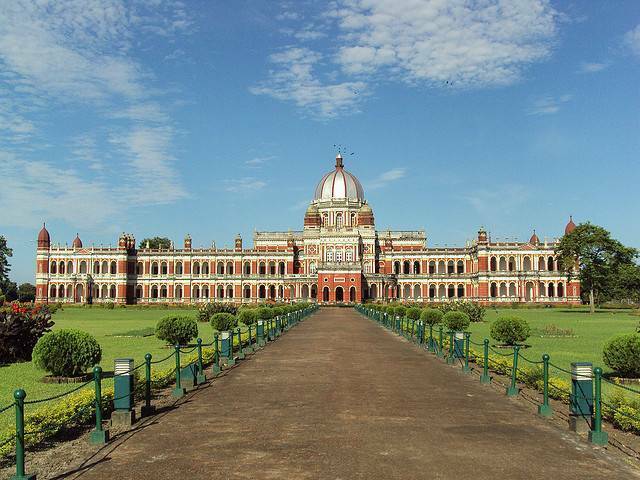 Palace building contains more than fifty rooms and halls that include the Dressing Room, Bed Room, Drawing Room, Dining Hall, Billiard hall, Library, Ladies Gallery and Vestibules etc. lies adjacent to district of Jalpaguri 110 km away and around 30 km from the Alipurduar.